Greater specificity in how we look at story results in a greater understanding of how narrative truly works. To recap, we have giving your main character the story goal or giving your main villain the story goal. But if neither of these two has a goal? Now you’re stepping into dangerous territory. Because very few movies work without the two most important people in the movie driving the story. I mean, if anyone besides these two is driving the story, why aren’t they the main character?? Because there are many situations in life where we sit on the sidelines. Not everyone gets to be the quarterback. Yet this is what Good Will Hunting does. The goal in Good Will Hunting is Professor Lambeau’s. He’s trying to help Will realize his full potential. But it doesn’t stop there. Instead of Professor Lambeau - the person with the actual goal - being the one to guide Will to his objective, he brings in ANOTHER CHARACTER – a psychologist friend – to do the job for him. This means, by association, Sean (Robin William’s character), is the character responsible for the main goal that drives the story, a goal he personally (at least initially) could care less about. Agree with the Story Goal being Lambeau’s. This is because he is the Protagonist, the one motivated to Pursue and the one motivated to get others to Consider the Goal. Sean, on the other hand is a Guardian character, the one motivated to Help and to be the voice of Conscience. For more on Protagonist and Guardian, including an exploration of several different types, please read the series of articles on Archetypal Characters. 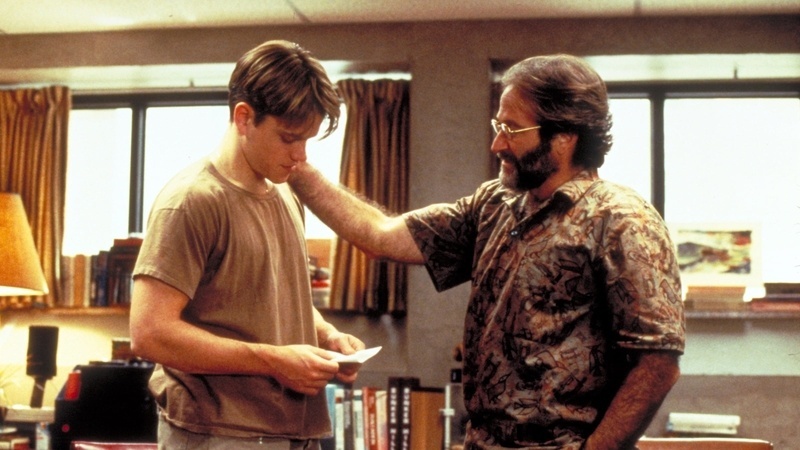 Good Will Hunting is a great example of a story where the Main Character is not the Protagonist. The confusion and double-speak surrounding the linked article is the reason why these two terms need to be separated. So, let’s recap again. Our main character has no goal. There’s no villain so the villain has no goal. A third person has the goal but pawns it off to someone else. And to make things as tough as they can possibly be on our writers, the goal itself is vague. They’re helping Will with his Math so he can…help the world? Sheesh, talk about a tough sell. The Story Goal is only vague when trying to classify it as a traditional Obtaining goal, in other words–something someone is trying to achieve. Good Will Hunting is more sophisticated as the Story Goal is more closely related to a problem of Progress. In this case, the goal could be understood as Seeing Progress in Will’s Development, or effecting some change in the situation surrounding Will and the school. This Goal is pursued by Lambeau, helped by Sean, and prevented, or Avoided by Will. This motivation, along with Will’s constant attempt to get others to Reconsider him, would classify him as the Antagonist of the story. Taking that into consideration, along with the idea that the term Villain is often a subjective character with Antagonistic tendencies, and it becomes clear what Will’s role in the film is. He is anything but passive.